Could Polestar Reveal A 600 HP Mercedes-AMG Fighter This Month? Crazy Swedes backed by Chinese cash = trouble for Germans. Only a few days ago Polestar announced on Instagram its official divorce with Volvo after 20 years of holy matrimony. It is the end of an era but also the start of a new one, and we have high hopes for what’s about to come. Turns out, that first reveal could be happening in just two weeks’ time, on October 17. Polestar has an updated Instagram post stating only the following: "17.10.17. Time to put the pieces together." What is Polestar up to? Hopefully we’ll be seeing its first answer to the likes of BMW M and Mercedes-AMG. We previously heard the Swedes (with parent company Geely’s financial backing) were working on a 600-hp high-performance coupe that won’t be based on an existing Volvo. 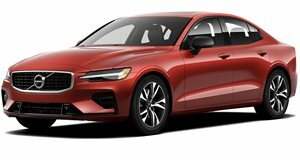 Polestar has retained access to Volvo’s two flexible platform architectures that underpin all of its models, so the possibilities are huge here. Debuting such a coupe, even if it’s a concept at this stage, would make an awful lot of sense because Polestar, as a new standalone brand, needs to make a statement. Going with a more conventional body style, like a SUV/crossover or a sedan would be kind of bland. With a coupe, Polestar can more easily show off its design direction and thus receive more attention. As to what will be under the hood is still anybody’s guess. We do expect, at the very least, to see a hybrid but a plug-in hybrid is more likely. A full-blown EV may be a bit premature at this stage, but, then again, nothing should be ruled out. In any case, we’ll have our answer later this month.